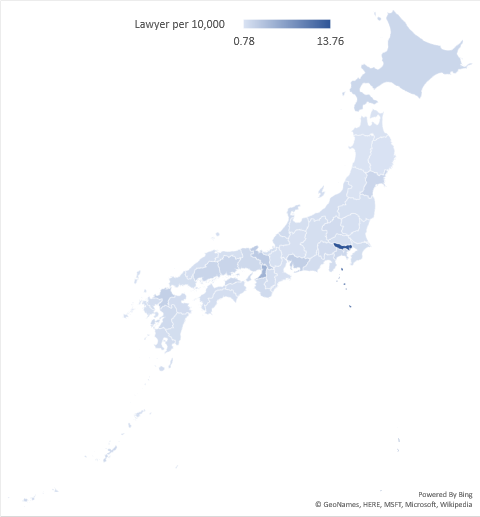 Number of Lawyers in Japan by Prefecture, 2018 - How much is it in Tokyo? There are 40,066 lawyers in Japan as of 2018 March 31. The following data show the number of registered lawyers by prefecture.